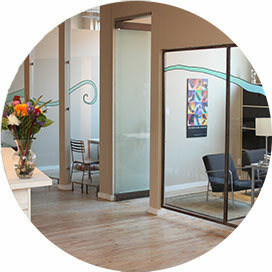 Offering small firm flexibility with big agency expertise, you can make yourself at Holmes. Make yourself at Holmes. Your story. Your campaign. Our reach. Our expertise. Holmes PR is a clear creative voice in the multimedia era. Our integrated approach to traditional and social media ensures your audience is listening. With over 25 years of experience as Toronto’s premier boutique agency, we live and breathe all things culture, entertainment and lifestyle. Offering small firm flexibility with big agency expertise, we’ll help give your message more meaning. Have a look at our previous work to see why there’s no place like Holmes. Put your story and your message in our hands. At Holmes, we pride ourselves on our people and our expertise. Holmes’ success is driven by our exceptional clientele, many of whom have placed their trust in us year after year. But no company can flourish without a talented team – and our stellar cast is genuinely infused with a passion to exceed expectations. Rounding out our services, Holmes has longstanding partnerships with the best designers, writers, photographers and AV experts in the business. And our deep-rooted relationships with journalists, bloggers and influencers across the country provide Holmes clients with a considerable advantage. You can make yourself at Holmes.